It's all of our favorite time again, Farley's currently!!! Loving: Now that I have a short break from volleyball, I actually have Sundays free. It is AWESOME! Wanting: Right now I work out in the mornings before school. It works great, but sometimes I have motivation to keep going, or add something on and I just don't have the time. I can't wait until I do! 3 vaca essentials: 1.) I pack a suitcase full of books, like seriously. 3.) I am not usually a huge fan of beer, I'd rather have Diet Coke! But there is something about a cold summer shandy on a hot summer day. Yum! Next I am linking up with the amazing Collaboration Cuties to share some Mentor Texts to teach writing!! I use the graphic organizer above to introduce what persuasive writing is. 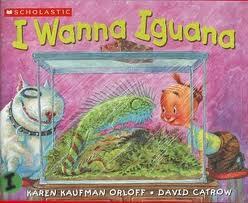 Then, we read I Wanna Iguana and discuss ways Alex persuades his mom to get him an Iguana for a pet. We then write letters to our parents to persuade them for an exotic pet. Students have to use at least 3 arguments, and it is a great introduction to lots of fun opinion writing! Students ask me all year if they can write an opinion letter on a topic whenever we have a discussion about something! 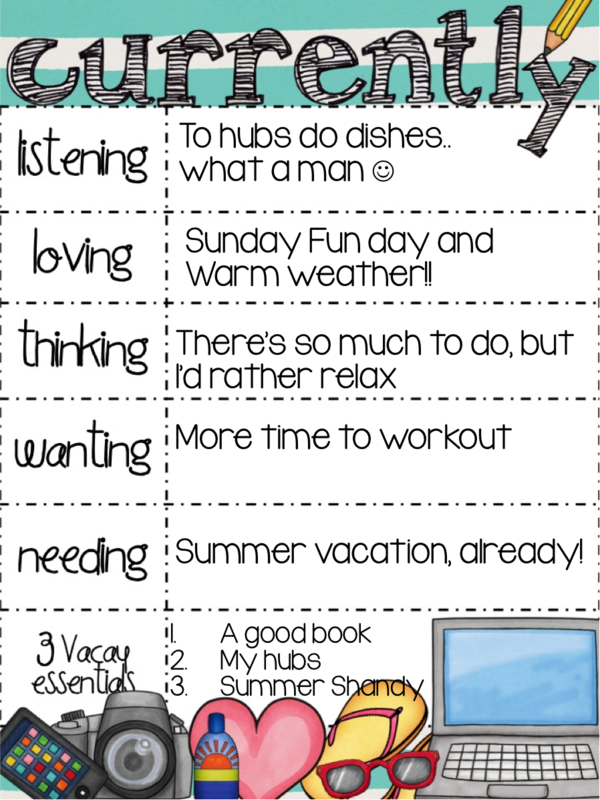 Click here to download this freebie! My kiddos love this book every year. After reading it, we talk about descriptive writing. I make students describe "what a book would taste like" (it's great because it's really hard to put into words so it really makes them work!) and then we write how reading books is better. It's a fun one! This is a great book to teach self-esteem and writing about how we feel. Alice is "TOO TALL." She is 4 inches taller than all the others in her grade. Everyone, including her mom and dad tell her she is too tall. One night, she goes to a dream land where there are other "too tall" girls. This is where she truly finds herself. She learns who she really is, and what is good about that. Happy Sunday, y'all! Enjoy your day! I hear you about the wonderful sound of a husband doing dishes! I'm also from Ohio- (northwest). I love your book activities for writing persuasive and descriptions. I'm your newest follower! Love that your a fellow Ohio blogger! We totally need to do a Ohio blogger meet up :) Thanks for following!! Oooh! Love that your hubby is doing dishes. I had to do mine this morning. Hubs is under the weather. He certainly is wonderful :) Hope your hubs feels better!! I wish my hubby would do the dishes more often... lucky you! I am going to have to check out The Incredible Book Eating Boy-that looks super cute. It is super cute :) Hope you enjoy it! All these books look great! Thank you for so many nice suggestions. We also teach persuasive writing, so we love that activity! I love the idea of writing about what a book tastes like! That is perfect and I bet you can get a real idea of what they truly think of reading this way. Neat idea. Your book ideas have sparked my interest. I have added them to my list. 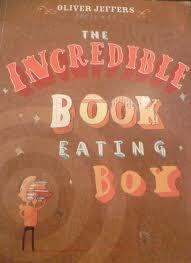 "The Incredible Book Eating Boy" sounds like it would become a favorite in my classroom. Thank you for sharing. It is such a great character ed one!! Love when hubs does the dishes! We are so lucky :) OH MY GOODNESS.. TIM MCGRAW IS totally dreamy! You HAVE to see him in concert! He is amazing! Thank you :) I love dressing country!! Thank you so much for sharing these wonderful texts! I must check them out... :0) Great ideas as well! 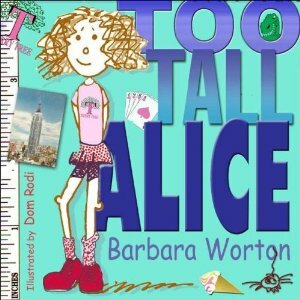 Too Tall Alice looks like it has a great theme! They are definitely going on my wishlist!